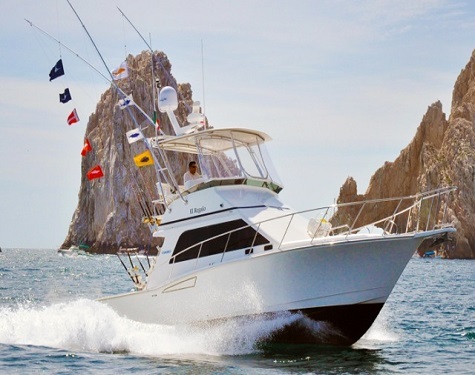 $1,400 per day/$800 half day - El Regalo is a 35 ft. Cabo Flybridge that's near perfection for sportfishing in the waters where it earned its name. 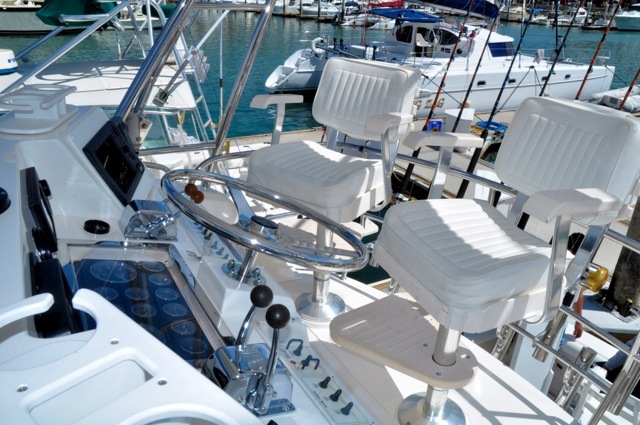 The hardware is top of the line, and selected for maximum durability. 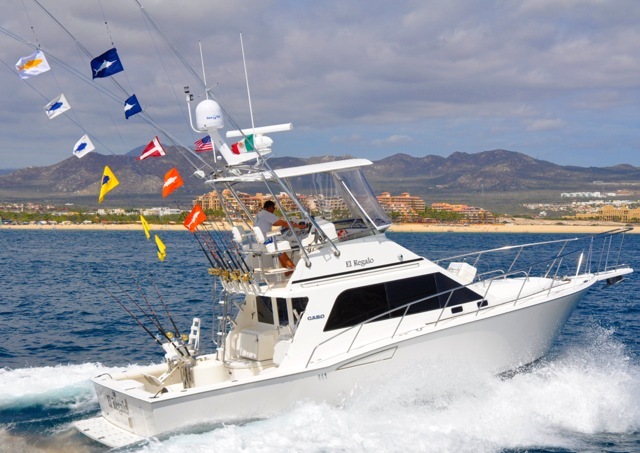 El Regalo is equipped with air conditioning, water maker, satellite TV, Sirius XM radio, underwater lights, refrigerated holds, tuna tubes, two separate bait tanks, all Furuno electronics in range, GPS, navnet chart plotter, and fish finders. 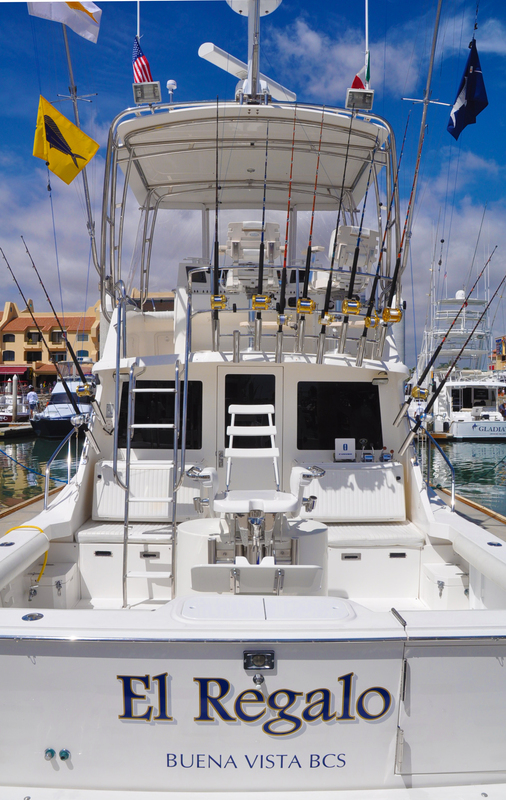 The engines are twin turbocharged Cat diesels, and the boat has a 13 foot beam for a stable fishing platform.